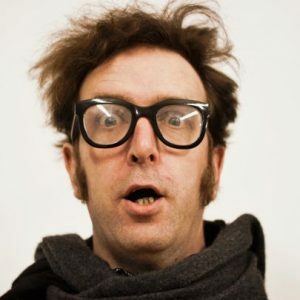 Will Franken is a satirist whose surrealist one-man sketch shows were once lauded by the likes of Stewart Lee and Robin Williams until Lee ascertained Franken’s political leanings and Williams took his own life. Over the last two years, Franken has been blacklisted from the BBC Comedy Department and prevented from performing at the Edinburgh Fringe Festival in response to his 2016 ‘Defining the Norm Awards’, a satirical swipe against the identity politics and bland commercialism of modern stand-up. In 2017, Franken released Red, White, and Blake, a documentary on William Blake set in the framework of psychedelic Christian nationalism and in December of that same year he was the recipient of the Blake Society’s Tithe Grant Award. Franken has appeared on both BBC News and Sky News, presenting an artistic case for Brexit as well as championing Donald Trump. He has written for sundry publications, including the Independent and The Federalist and is a regular contributor to The Salisbury Review. Franken is a West Ham supporter and plays football every Sunday with a group of other pre-diabetic men on a team he named The Stratford Stranglers. Franken also has prostate cancer.